The largest New Zealand sculptures! New Zealand may be a small country but we compensate with a whole bunch of very BIG things! New Zealand is about 2.5 times smaller than the state of Texas (USA) alone, however, our huge volcanoes, mountain chains and love for the outdoors inspires us to create big things. Huge things even! If it was ever on your bucket list to see a giant trout or even a humongous soda bottle, then New Zealand is the place to do it. Artists have created enormous sculptures all around the country to promote movies or a local beverage to attract tourists or simply for the love of art. Here is our “Top 22” list so you can start checking them down on your New Zealand map! Looking for more weird and wonderful sights in New Zealand? Check out 10 Funny Place Names in New Zealand. The tallest free standing building of the Southern Hemisphere tops our list! It stands tall and proud in Auckland Central. Ride to 186 metres in an elevator as you watch the ground shoot away from you through a glass floor. Then get panoramic views of the city through the windows or by hanging off the ledge as you walk the perimeter. The cartoon looking sculpture is not only entertaining cows and sheep but tourists too! It’s just one of many fun sculptures in New Zealand. Find it by visiting Gibbs Farm in Kaipara. The sculpture is by Neil Dawson. Did you know that we have a town called Springfield in New Zealand where you can see a giant donut set up to promote The Simpsons Movie in 2007? Now you do! L&P stands for Lemon & Paeroa and is New Zealand’s national soft drink. This sculpture stands in the city where L&P is made. Don’t be afraid to stop by the sculpture and get a shameless photo with the giant bottle on your way to the Coromandel Peninsula. New Zealand is a country of fishermen. This 12-metre high statue is a token to their passion for the sport. Remember, look after New Zealand’s rivers and lakes so the salmon have a decent environment to live in. With about nine sheep per habitant, New Zealand needed a big sheep dog! Next to it lies a massive sheep building too. This also happens to be one of New Zealand’s crazier looking i-SITEs. Waitomo is known worldwide for its amazing caves filled with glowworms. But after an afternoon of caving, nothing tastes better than a hot drink in The Big Apple Cafe. They are so eager for you to visit that they stuck a huge sculpture in front. The famous South Island surf spot wants to make it clear: if you want to surf big, come to Colac Bay! Fun fact: the town also has a South Park themed bus shelter. If you need more South Island surf inspiration, check out these surf hotspots. The iconic giant kiwifruit slice at Kiwi360 is a stop that any backpacker visiting Te Puke, the Kiwi Fruit capital of the world, must check out! It is also a testament to how easy it is to find a fruit picking job in the area – just a heads up. New Zealand’s most recognisable bird, the flightless kiwi bird, is hidden twice in Otohoranga. There is one statue at each end of the little town. Why the giant kiwi sculpture? Well Otohoranga is New Zealand’s town of Kiwiana. And if that means nothing to you, you should check out our whole article on Kiwiana here. The carrot was a prop for a bank advertisement that ran on NZ TV in the early 80s. Soon after that, it was brought back and erected at the entrance of Ohakune. The giant New Zealand sculpture also commemorates the vast amount of carrots grown in Ohakune and its surrounds. New Zealanders are fond of their fresh fruits and veggies so much that in Cromwell they actually erected four of them in a giant sculpture more than 13 metres high! Every year Te Kuiti hosts the NZ Shearing Championships – a tradition celebrated so big that this statue became a symbol of the town. Te Kuiti calls itself the “Sheep Shearing Capital of the World”. As you may have already understood, every little town in New Zealand claims to be the capital of the world of something. Gore claims to be the “Brown Trout Fishing Capital of the World”! You probably know Kaikoura for being New Zealand’s best spot for whale watching, however, Kaikoura is home to some of the best sea food in the country, including awesome crayfish. Erected to promote road safety, this giant bicycle has been the cause of many bruise as climbing it is not as easy as it seems. [Update: the giant bike isn’t looking so spotty anymore but can still be found on Control Gates Hill as you drive int Taupo]. Also called “Abalone”, the Paua are plentiful in the deep south of New Zealand and is principally used for jewellery. This giant Paua was the work of a souvenir factory based in Riverton, Fiordland Souvenirs. This is New Zealand’s biggest pun: the city is called Bulls, so they decided to erect a giant bull. The gumboot is a true New Zealand thing; every Kiwi has a pair. Most of them are made in Taihape, the “Gumboot Capital of the World”, yes again! The Te Poi Tavern, located in the closest city to Hobbiton, is trying to make a big name for itself with this huge homage to the striving farming industry of the region. 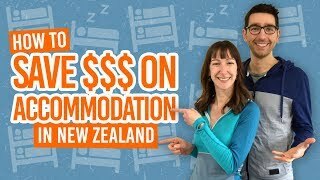 Did you like our 22 BIG things in New Zealand article?